The Jugurthine War takes its name from Jugurtha, nephew and later adopted son of Micipsa, King of Numidia. 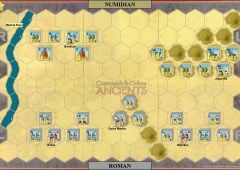 Numidia was a kingdom located in North Africa not far from Rome's arch enemy, Carthage. Micipsa died in 118 BC. He was survived by two natural sons, Adherbal and Hiempsal, and his adopted son, Jugurtha. It was Micipsa's wish that all three would share his kingdom after his death. After King Micipsa's death, Jugurtha proved to be a ruthless and unscrupulous man who would do anything to achieve what he wanted, including murder, bribery, treachery, and assassination. 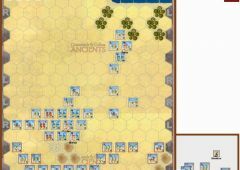 Jugurtha learned Roman ways and military tactics while commanding the Numidian army under Scipio Aemilianus at the Siege of Numantia. After Micipsa died, Jugurtha ordered Hiempsal assassinated and Adherbal fled to Rome for assistance against his half-brother. 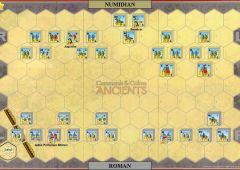 A Roman commission was sent to Numidia in 116 BC to make peace and divide the country among the two brothers. However, Jugurtha bribed the Roman officials in the commission and the best regions of Numidia were given to Jugurtha. Nevertheless, it was accepted and peace was made. 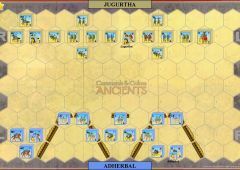 Shortly after, in 113 BC, Jugurtha provoked a war with his brother and cornered Adherbal in Adherbal's capital city of Cirta. Adherbal along with the Italians living there resisted. A second Roman commission was sent and, after being bribed, allowed Jugurtha to take the city. Jugurtha then executed his brother, Adherbal, along with many of the Italians who helped Adherbal defend Cirta. 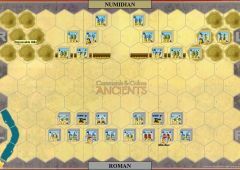 This execution of Italians and Romans forced the Roman Senate to declare war on Numidia in 112 BC.